Do we need a new vocabulary? Go to the Oxford English dictionary http://www.oed.com, and you will find a list of new words added to the dictionary in September. It is a long list. Some are rather naughty, and I won’t quote them here; some are current such as “click-bait,” internet ads that take you to more ads; “upspeak,” where the speaker’s voice rises at the end of a sentence in a questioning way, making you unsure whether you have been given information or asked a question; and “non-apology” and “yoga pants, ” which are self-explanatory. New words are appearing all the time, such as “neurodiverse” and “neuroplasticity,” that are becoming accepted in the medical field. And each established dictionary, American and English it seems, has similar lists of new words. Every age and culture has specific words that it uses and, often, a small section of the culture that understands what the words mean. I grew up in England, and my maternal grandmother spoke broad Bristolian, a West Country vocabulary specific to the city of Bristol. She used words such as “casn’t,” “bisn’t” and “baint” for “he can’t” and “he isn’t.” I thought they were quaint then, but young Bristolians don’t understand the old words at all. I grew up with the words “scrage,” a cross between a knee graze and scrape; the “creeping crud,” a spreading skin condition; and the “galloping lurgies,” aches and pains that move around the body. I’m sure you can think of your own examples. Many ancient cultures, such as the Basque, the Welsh and the Cornish are reintroducing cultural language training into their schools. So do we need new words when we have so many old ones? Over this past year, in the United States, even more new words are emerging, including ordinary words used with new, often derogatory, meanings: words such as “best,” “yuge,” “fake news,” “tweets,” “despicables,” “nasty women” and “snowflakes.” Will these make it into the dictionaries of the future? For example, the word snowflake, known and loved (or hated) by many of us. Each snowflake is a “feathery ice crystal, displaying a unique and delicate six-fold symmetry.” The word has taken on several new meanings over the years. Following the declaration of the president-elect, the word snowflake is now being bandied about, as a derogatory term, to describe individuals of all ages who are protesting the election process and results. Disparaging words to describe those on both sides of the fence are lobbed as carelessly as snowballs, even hitting people sitting on the fence. Words have both the power to hurt and to heal. Name-calling is a behavior associated with junior high, and we are better than that. 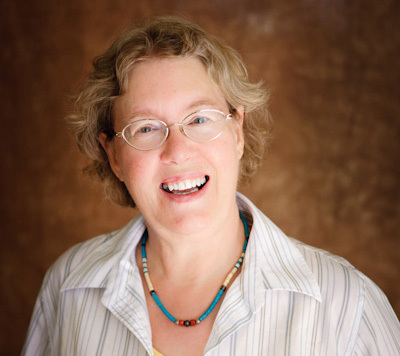 Angela Smith is a Ph.D. life coach, author and educator who has been resident in Nevada since 1992. She can be reached at catalyst78@cox.net.